Looking for a good TP deals? 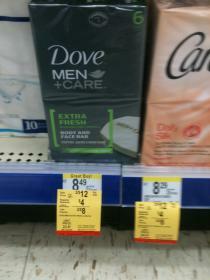 Walgreens has a great one day sale on Cottonelle. 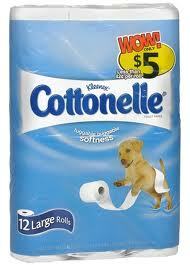 July 31st only, you can get 12 packs of Cottonelle for $1.50 each!! 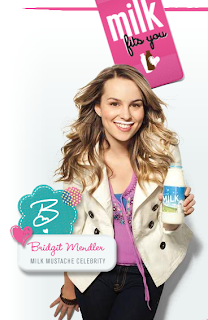 Go HERE to request a $1/1 any size White Milk coupon. Coupon will be mailed to you in 6-8 weeks. 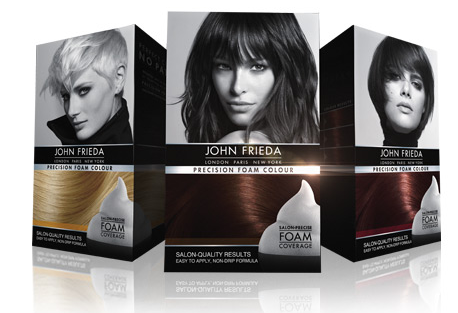 John Frieda is once again offering up a FREE box of Precision Foam Hair Colour! Fill out the form HERE to see if you qualify. 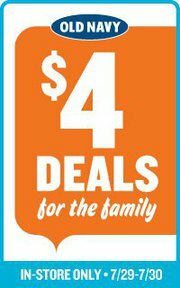 -Swim for all at $4! -Basic graphic tees for adults and kids at $4! -Basic Tees starting at $4! Hurry in b4 it ends! All Kids take home free school supplies!! 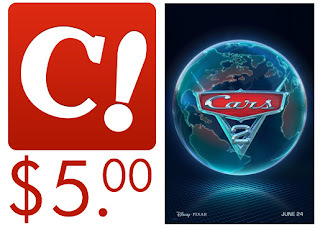 Celebration Cinema is offering Cars 2 for only $5 per ticket TODAY July 27th all day long. Go HERE to print out your coupon. Did you print out the $3/1 womens denim coupon from Target(no longer available) a few weeks ago? If you haven't used it yet, you may want to check the clearance racks for $4.98 juniors jeans(regular $19.99). Use the coupons and score a pair for under $2 each! Please note that clearance varies by store. Go HERE to request a sample of Nivea Touch of Cashmere body wash from All You magazine. 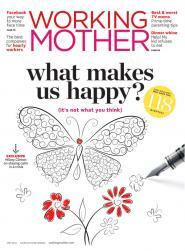 Go HERE to request a FREE subscription to Working Mother magazine courtesy of ValueMags.com & Restaurant.com! You will never receive a bill and there are no strings attached! Monday nights through August 10th, the John Ball Zoo will be offering FREE jazz concerts. Bring a lawn chair or blanket! 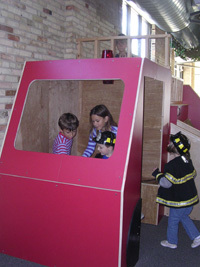 The Grand Rapids Childrens Museum is offering discounted admission on Thursday Nights from 5-8pm. Admission is only $1.50 per person. Get info HERE. 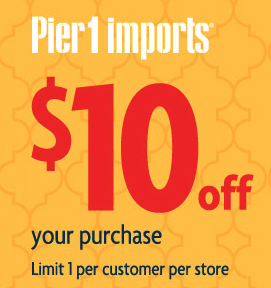 Pier 1 Imports is offering a coupon good for $10 off your purchase of $10 or more (expires 7/27). To snag this offer while it is still available, go to their Facebook page HERE, “like” them, click on the Daily Dealy tab, and then click on the “Here’s the Deal” link to get your coupon. 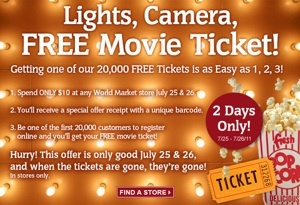 Today and tomorrow (7/25 and 7/26), spend only $10 at any Cost Plus World Market and you’ll have a chance to get one of 20,000 FREE movie tickets. 1. Spend only $10 at any World Market store July 25 & 26. 2. You’ll receive a special offer receipt with a unique barcode. 3. Be one of the first 20,000 customers to register online and you’ll get your FREE movie ticket! Update on a few Walgreen items for this week! Crest Toothpastes are producting two register rewards this week, making for free toothpaste. You must purchase $6 worth of toothpaste to produce 2 RR. These deals are not marked in store, but several bloggers have tested it and confirmed. Hope you have been enjoying this series. For the final post, I'd like to share additional tricks and tips that make help in making your holiday smooth and stress free this year. Here a few ideas that I personally use. 1) Use gift certificates from department stores - JC Penney and Kohls will randomly send you $10 gift certificates in the mail when you sign up to be on their mailing list. Typically, we receive one gift certificate per month between both stores. While, it may not sound like much, over the course of the year it allows me to get a bunch of small gifts or stocking stuffers. Typically I'll get socks, boxers, winter gloves, clearance clothing, etc for my husband and socks, t-shirts, bibs, small toys, Carters outfits, etc for my son. 2) Use online credit to purchase gifts- Many new online stores will offer credit to customers to celebrate their grand opening and to get exposure. Take advantage of it! You've seen postings about the $25 credit to MyHabit store. In the past Rue La La, Franklin Goose, etc have had similar promotions. Look at your gift list and see if something offered by these stores might work. 3) Swagbucks- Using swagbucks as a search engine accumulates points that you can then redeem for Amazon.com credit. Using swagbucks (sign up HERE) on a semi frequent basis can earn around $10 per month just by making a simple change from Google to Swagbucks. I've cashed in to purchase my son and water table, coffee maker for my husband and other various items over the past 2 years. 4) Use stockpile items to create gift baskets- If you have been couponing for a while, you know its easy to get items cheap or free. Why not make gift baskets out of your overstock? Have a teenager? Fill a basket with health and beauty items, makeup, etc. Need a teacher gift? Fill it with back to school items that could be used in the classroom. JC Penney just released a new $10 off $25 coupon for next Friday and Saturday July 29&30 HERE. This can be used online or instore and on sale and clearance items. 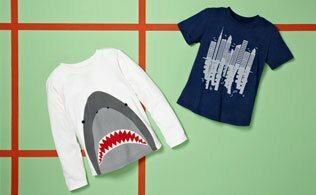 While cruising their clearance and outlet section online yesterday, they have several winter and holiday outfits for kids, toddler, etc (dresses, suits) for $9.99 each. A bunch of fall and winter clothes, shoes, coats all at 75% off for men, women and kids. This coupon may be great in scoring some nice back to school deals. For the past few days we've been discussing how to celebrate Christmas on a budget. Today, lets talk about ways to increase your Christmas budget income. Simple steps that you take now, can make your budget a reality. 1) Consider a seasonal job- Many stores hire employees temporarily for the holiday season. They may be in need of cashiers, gift wrappers, etc. Most stores hire early, so don't wait until Thanksgiving to apply. 2) Consider doing 'odd jobs'- Like to babysit? Parents may need extra babysitting help during the holidays. Offer a day of child care so they can shop. Could you tutor? Run errands? There are several small odd jobs that can be done-mow grass, shovel driveway, paper route, etsy shop, deliver phone books, etc. 3) Have a garage sale- Garage sale season still is in full swing. In my experience, fall garage sales seem to be just as profitable as spring sales. 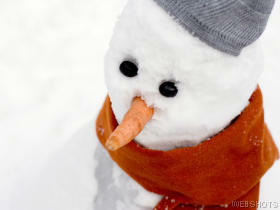 Parents are always on the hunt for good quality winter clothes, jackets, toys, baby equipment, etc no matter the season. While a garage sale is work, it is a great way to clean out your house and get cash on hand. 4) Ebay-Ebay is also a great way to get rid of treasures. Before selling on ebay, understand the seller/buyer obligations, fees, understand how to list and ship an item, etc. It may take a while to understand ebay, but its an easy way to get rid of higher quality items at a decent price. 5) Consignment stores-Adult and children's consignment stores will soon be accepting fall and winter clothing. This is an easy way to rid excess and make cash. Be aware of the store policies, consignment fee(typically 50/50) and payment schedules before dropping off your consignments. There are several consignment stores in West Michigan, each with different policies. Use Old Navy coupon code ONBIG30 to get 30% off all mens’ and womens’ styles, including womens’ plus and maternity and all clearance items. Valid today July 21 through July 22. Trying to beat the heat? 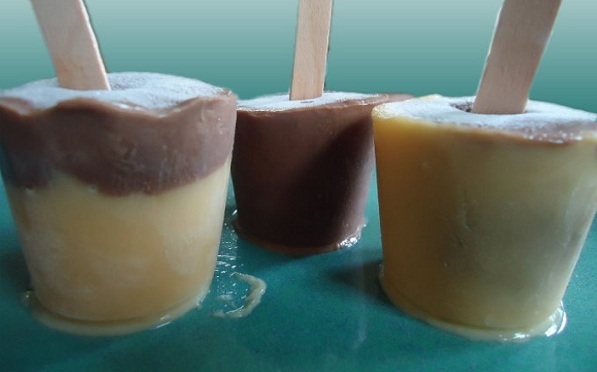 Go HERE for a homemade pudding pop recipe. Yum! 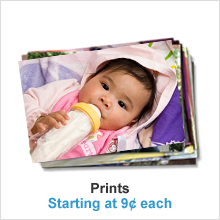 There is a super HOT deal on prints at Snapfish right now. Get 100 4×6 prints for $1.00 with code JULY100PRNTS at checkout. You will pay shipping of about $5.89 which comes to less than 7 cents a print. 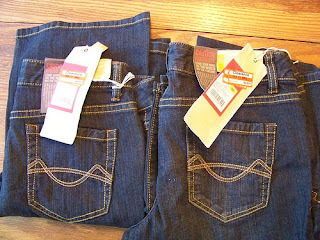 Thrift Stores are a great resource to help you stretch a buck! You can find unique items, gently used or BRAND new with tags items that are alot cheaper then shopping retail. Brand names too! I know alot of people think thrift stores are dark, dirty and depressing and that they are "above" shopping at a thrift store, but times have changed and you will find people from all walks of life shopping and most stores are clean and organized. "Thrifting" can be fun and also help provide funds for various charities. Most thrift stores are non profit and run by volunteers. All money received from donations and thrift sales go towards helping others in the community. Goodwill and Salvation Army does have paid employees that are receiving vocational training. Consignment shops (Once Upon a Child, etc) are not considered thrift stores as they are privately run businesses for profit. Love Inc (Ottawa County)-Provides assistance to low income families, help with groceries, utilities, clothing. For every $1.00 donated, $50.00 worth of goods or services are provided. Thrift Stores in Grand Rapids and surrounding areas can be found on this cute website. Simply put in your zip code and it will pull up all thrift stores(not consignment) in your area. Bring cash:since these stores are non-profit some do not accept debit/credit. Be nice: the cashier is typically a volunteer or is not being paid very well. Have patience. Keep an open mind: you will find "interesting" treasures from past decades but also up to date, very nice items as well. Its a scavengar hunt and sometimes you will strike out and not find anything you need. Know the store's return policy: Most stores have an all sales final return policy. Others, like Goodwill will accept returns with store receipt. Try on clothing or have measurements if you are unsure of sizing. You can find lots of treasure while thrift shopping. We have purchased several toys and books in excellent condition for my son that just needed to be washed and disinfected. He doesn't know the difference and you can't beat $1 or $2 for well made toys. We stop by Love Inc from time to time and I've found incredibly nice Gap sweaters, Gap jeans, TCP shirts and Gymboree outfits for $1 each! Now that you have a budget, its time to add it all up and realistically look at the number. Is this something you can afford? Will setting aside a set amount for the next 6 months make your budget do able? If the numbers for your budget scare you- there are two things you can do to get everything in line-decrease your expenses or increase your holiday income. Start NOW so the numbers work in December. Today, I'll be sharing tips on decreasing your holiday expenses. Every family is different, but I think we can all agree that extravagant spending doesn’t make the holidays any more special. How much you’ll spend has nothing to do with how much fun your season will be, and the amount you spend on gifts certainly has nothing to do with how much you love the gifts’ recipient. Stay on budget- If you set aside X amount for someone, STICK TO IT. During the holidays its easy to get roped into sales. If something is a "good deal" but puts you over budget, then its not a good deal after all. Cut down on who you are purchasing gifts for- Why not draw names in your family and purchase one gift instead of a gift for everyone? This cuts down on who you need to buy for. Take advantage of sales all year- Waiting until the December puts the pressure on and doesn't give you time to compare prices. Shop year round for the best discounts and use coupons, rebates, etc to sweeten the deal. Clearance racks and end of season sales provide great discounts. It may be summer here, but you can find 75-90% off on winter clothing RIGHT NOW on a variety of online store. JC Penney has a bunch of infant and toddler Christmas dresses and suits for $10 each-a sweet deal-as well as adult and children winter clothing. Keep your eye out for coupons, discounts and rebates-Every little bit helps. Make your own gifts- Gifts for teachers, Sunday School teachers, the mailman, etc can really add up. Why not make your own? Can you sew, knit, create jewelry, make candles? Why not create gifts now and have gifts checked off your list in July? Now that is SMART and thrifty. Consider purchasing used items-Some people may squirm at this, but I think its smart. For my son's first Christmas we really wanted to get him a particular baby toy. I found the exact item on Craigslist for $10, regular price is $60. After a thorough cleaning, it looked brand new and he was none the wiser. 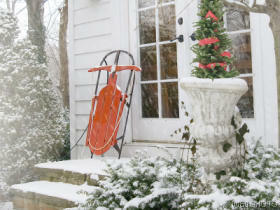 Cut out unnecessary items- Its nice to purchase a new wreath or ornament from time to time..but do you really need it? Fancy wrapping paper and bows just get tossed in the trash. Expensive floral centerpieces for the table are also disposable. Have a huge Christmas card list? Cut it down to only those you don't see on a regular basis. Reuse what you already have- Take a few minutes and evaluate what you already have leftover from last year. If you have cards left over from last year-use them. No one will remember. Use decor items around your home in new and creative ways to create centerpieces. Rethink the celebration of Christmas entirely- Instead of doing a traditional gift Christmas, why not consider a Jesus Birthday celebration instead? Get a birthday cake, exchange small gifts, play games and celebrate the birth of Christ. Wow! 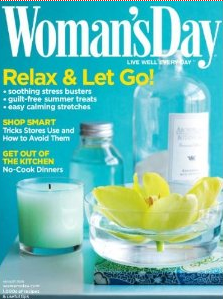 There is another FREE offer for Woman’s Day magazine. Go HERE where you can get a FREE magazine subscription. There is a homemaker option. First choose “Other Industry” and then “Homemaker”. This is a legit offer. I've received many magazines from this company. They don't ask for payment info and never send a bill. Have an old refrigerator or freezer that needs to be kicked to the curb? Consumers Energy has a great program to help get rid of that energy hog. They are offering FREE pickup of the appliance along with a $30 check. Wow! Thats a great incentive to get rid of an inefficient appliance! Limit 2 appliances per household. No appliance age restrictions. Must be in working order and be a minimum of 10 cubic feet. Tide is again giving away samples of Tide Stain Release. These are large 10 ct. bags that you will receive:) On FRIDAY July 22 at 3pm EST head over to the Tide Facebook page HERE for a chance to get one. Or sign up to receive Muellers coupons HERE. Once signed up, they will send you a $.55/1 coupon via email that you can print multiple times. Please note that Family Fare only allows 3 identical coupons per household per day. Plan. Plan. Plan some more! A stress free and budget friendly holiday all comes down to planning in advance. 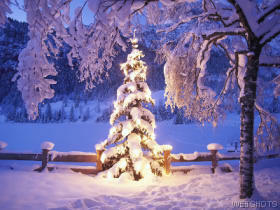 As Dave Ramsey says, Christmas is not an emergency – it falls on December 25 every year, so you know it’s coming. The #1 tool to plan your holiday is to create a budget. Just like a monthly expense budget, create a holiday budget that covers ALL of your extra holiday expenses. Take 10 mins, sit down and create one today. Tuck it away in a safe place where you can refer to it over the next 6 months. Below are a few examples of what you may want to include in your budget. I’m not going to harp on how much money you should be spending on what – every family is different. But this is thrifty blog, after all, so I’m obviously going to advocate keeping the holidays simple. And since I’m a follower of Jesus Christ, my Christmas season revolves around celebrating his birth – and I want to do whatever I can to keep my family’s perspective on him. 1) GIFTS Decide who you are buying for and the amount you intend to spend on each person. Already have gift ideas? Jot them down as well. Doing stockings? That adds up, so include it in the budget. Don't forget teacher, Sunday school teacher gifts. Tips for service workers, etc. 2) SUPPLIES Estimate what wrapping and gift supplies you may need. Paper, bags, tissue paper, bows, tape, Christmas cards, stamps, etc. 3) DECORATIONS AND DECOR Do you purchase a live tree? Need new outdoor lights, etc? Centerpieces for your table? 4) FOOD Estimate the cost for additional food(not regular groceries), baking, Christmas dinner, entertaining, etc. 5) TRAVEL Will you be leaving town? Hotel, gas, restaurants, etc..that all adds up quickly. 6) EVENTS Hosting a party? Have a company party to attend? Christmas concert? 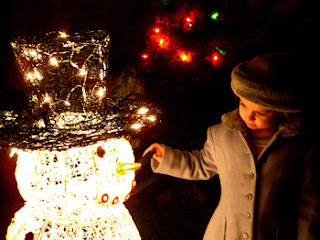 Do your children need "Christmas outfits"
7) CONTRIBUTIONS Making an end of year charitable donation? Skintimate just released a very high value $1.50/1 coupon. 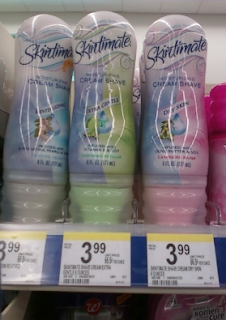 This should make for FREE or very cheap women's shaving cream. Go HERE to print. 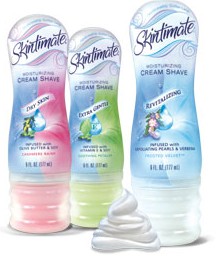 Last time I checked at Target the Skintimate Moisturizing Cream Shave (6 oz.) was $2.24, so just $0.74 after coupon. MyHabit is a new Amazon.com limited quantity private shopping site. Sign up HERE. Right now, you can receive a $25 credit toward MyHabit when you use coupon code SUMMER25. Code is good until August 1st. Even better, MyHabit always offers free shipping and you can also use Amazon.com credit from Swagbucks as well:) Yahoo! Check out items on MyHabit and score them for free, shipped to you! Inventory changes daily at 12 noon. While it is hot in West Michigan, the calendar indicates that Christmas is a little over 6 months away. 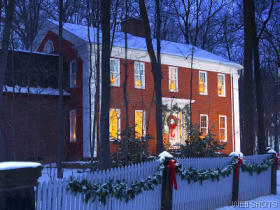 Why not start planning NOW for a simple Christmas this year? During our first year of marriage, I just started a new full time job around Thanksgiving. Life during November and December was a blur. Learning a new job and working full time with odd hours left little time for other responsibilities. Add in Christmas and all the parties, events, etc and it was overwhelming. That Christmas was also stressful on our finances as we did not prepare. Shopping very last minute left me with no selection and higher prices. We didn't have a budget(gasp!) and did not properly prepare for the financial aspect of the holidays. After the holidays, I vowed that I never wanted to "do Christmas" like that again. Over the past 5 years, I've learned several tricks and tips to make the holidays less stressful and in budget. Join me this week for a saving series geared toward reducing your expenses, increasing your Christmas income, planning and preparation for the Holiday season. 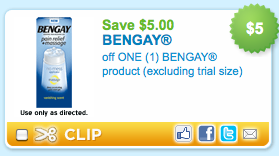 Coupons.com just released a high value $5/1 BenGay coupon which will make for free items at Meijer. Go HERE to print out the coupon. Go HERE to get a Buy One, Get One Free Entree coupon to Smokey Bones. Valid 7/18-7/21. With it being so hot this week, we may have to stop by for dinner. 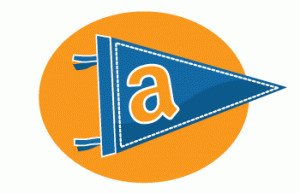 Amazon.com is offering a free one year subscription to Amazon Prime for college students. A $79 value! Makes me wish I was still in college. Well, kind of. Amazon Prime offers FREE Two Day shipping on any purchase as well as email alerts for exclusive promotions. Go HERE to sign up. Please note that during the sign up process you DO NOT want to auto renew this promotion or you will be charged $79 once the year is up. You will need to provide a valid .edu address as well as school name and major when signing up. Target has a new FREE Sample Offer up for Huggies Snug & Dry Diapers up on their Sample Spot. Just go HERE and fill out the quick survey and form to request yours. Please note you may need to do a price check. 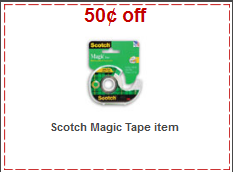 This deal is not listed in the weekly flyer, but there should be hang tags in the aisle. Retail price is $8.49 each.